We’ve all been there. Lousy sinks ruining our day is something we certainly don’t want to relive. Given the number of sub-standard sinks passed off as top-tier items these days, we have a feeling you’ve been in this position as well. If you haven’t, we pray that you don’t find yourself in it. However, one can never be too sure, and if you have a terrible sink, it’s only a matter of time before it breeds bacteria, keeps mold stuck upon itself and gives you a bad time in general. To prevent this eventuality from happening, we suggest you go and buy yourself a top-class sink as soon as possible. But how do you separate the good ones from the bad ones? 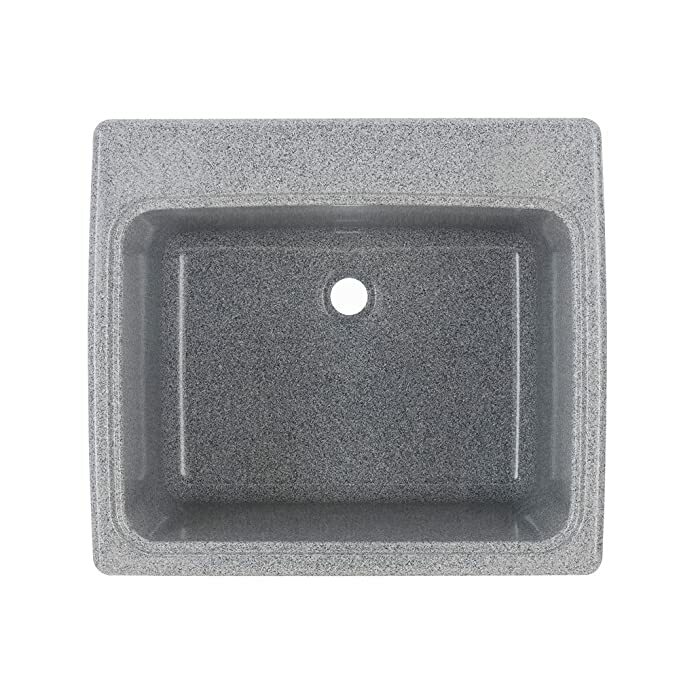 The product we’re featuring today is the Swan Surface utility sink, and it is one of the best we’ve reviewed (and we’ve reviewed a lot of sinks). So, let’s tell you why it’s so good, right after we’ve told you a little more about it. What do we like about the Swan? Now, on to the review of the Swan. After thoroughly and extensively testing the Swan for an extended period and putting it to different kinds of uses and applications, we’re glad to report that we’re satisfied with its quality and that it is worth every dime it commands. The Swan utility sink is made of Swanstone, an innovative new material that’s unique to Swan and its products. Swan claims that Swanstone is impervious to corroding chemicals like acids, gasoline, etc. and this means its finish will last for long. Further, Swanstone is easy to clean, and most stains can be wiped off with a simple cloth. Swanstone is also impact resistant, meaning that it is five times stronger than the toughest material in the cast polymer industry. Swanstone is renewable, meaning if it catches any scratches or marks, they can be buffed or sanded out. Having used the Swan sink for so long, we can confirm that Swan’s claims are indeed true and Swanstone is worth every dime it commands. It makes owning a sink a little less troublesome. The Swan’s design is rather simple; a utilitarian single bowl design that chucks sophistication in favor of usefulness. The drain is located at the bank of the bowl, meaning the waste, dirt, and grime you dump in the sink won’t stay in the sink. The dimensions of the sink are 25″ x 22″ x 13-9/16,” and the dimensions of the bowl are 21-½” x 16″ x 13-9/16”. We found them to be well-judged and perfect for most household needs. Coming to the finish of the Swan, it comes in two solid colors (white and bisque) and two aggregate colors (gray granite and midnight sparkle). We tried the gray granite model and are pleased to report that the finish is top-class and looks excellent, especially under sunlight. The sink features a flat deck, meaning you can install the faucet of your choice onto it without any worries. It even comes with 4 and 8-inch centers marked, but more on that later. Installing the Swan utility sink is an easy task. It drops right into your countertop for a high-class laundry room feel, and you can also install it as an undermount if you wish. Coming to the installation of the faucet, as mentioned earlier, the Swan comes with 4 and 8-inch centers market underneath the deck, which means all you’ve got to do is drill over them and install your favorite faucet! If you’re in the market for a new utility sink, look no further than the Swan utility sink. It’s an excellent option for those looking for a simple, durable sink and comes with many innovative features.